To create its kombucha, Evolution Fresh starts with carefully selected artisanal teas—Congou black tea, Yerba Matè tea, pu’erh black tea, green tea and matcha. 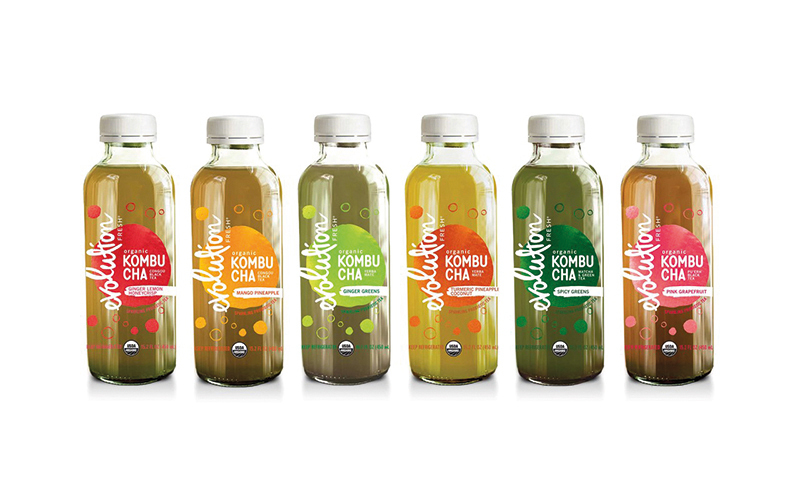 The teas are fermented and paired with cold-pressed Evolution Fresh juice. Leading with flavor, these recipes leverage the brand’s culinary expertise rooted in authentic taste and quality since 1992 to delight the palate and create the perfect combination in every bottle. Pink Grapefruit: This celebrated, complex pu’erh black tea is brightened with a sweet splash of cold-pressed pink grapefruit.